In the eyes of God Joseph was an Egypt young king candidate. When you are disparaged by people around you, don’t be discouraged, don’t be disappointed, and don’t be sad, because God has His own way and reason how He sees and judges you. Only God knows who you really are. An office boy in your office could be a CEO in your own company. He doesn’t care about your age. God blessed Abraham in his very old age. He doesn’t care about someone who have dark past, Paul had dark past but God chose him. God doesn’t care about one’s social status. God choose a hated person, corruptor, traitor of the Nation, and sinner. God was choosing Zacchaeus’ house to stay. How people look you, it doesn’t matter. 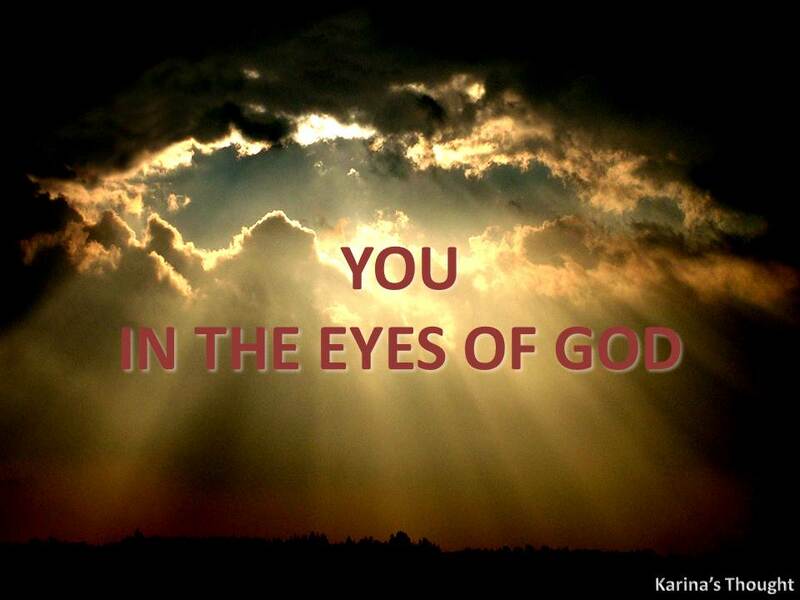 How God looks you, it does matter. You are the precious and Honor in the God’s sight, and loved by God. You are no longer a servant, but God’s friend. You were chosen by God with a special task. Bear fruit! After formally retiring from all of his business activities, my father spent his daily time with gardening and playing with his grandson. But now he has a new hobby. Now he really interested playing jigsaw puzzle. Few weeks ago he asked me to buy some jigsaw puzzle from small to the large size. Excitedly he could spend for hours patiently along with my mom or alone choosing piece by piece of jigsaw puzzle then putting it together to the frame until the picture of puzzle formed perfectly. Though I’m not too interested to play jigsaw puzzle, I love watching its process. We all know what picture we will get from a box of jigsaw puzzle. 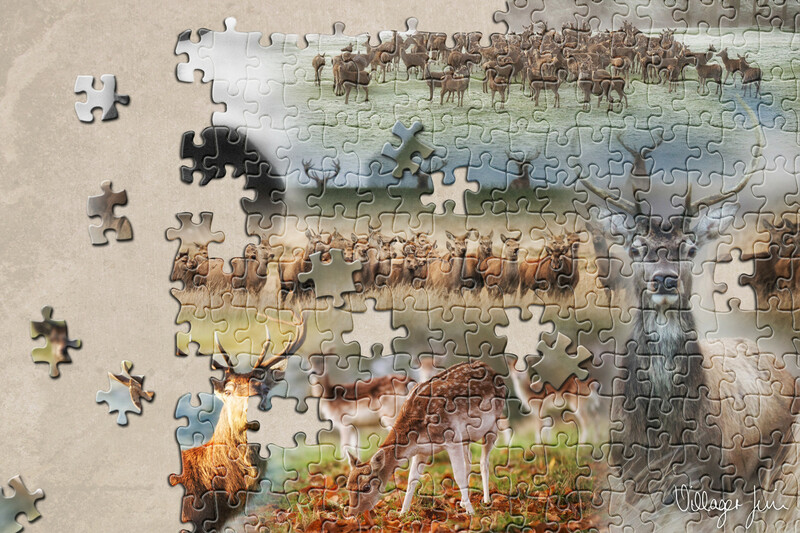 We also know how many pieces of each jigsaw puzzle, but to make the picture complete need long process. Every time I see the process of making a jigsaw puzzle, I always think about life in this world especially as a Christ follower. A jigsaw puzzle is a very good example to depict the parts of our lives. We live this life piece by piece, begin when we were in the wombs, then we were born, growing up, and become a mature. It’s called a life process and in that process, at times in one moment, period or the pieces of our life, beside happy things we have to experience and feel many unpleasant or even painful things. We may have to suffer because having big problems, maybe we should be mourning caused loss someone we love. When my father putting a piece of puzzle, he sometimes made mistakes or my son, Andrew, messed it up, and have to start all over again, so it’s with our lives, maybe there’s a part we have failed, whether in career, marriage, family, and many other aspect of life and we have to rise from the failure and start again from the beginning. All of it is parts of plan and grand design of God to us. One similarity between the jigsaw puzzle and our lives is, both has own design and there’s a process in it. The difference is we already know for sure the design of the jigsaw puzzle but we often pretty hard to know what God’s plan to us is and what the grand design for the whole of our lives. Isn’t become a problem when our lives always running well but become a problem when we’re in difficult and unpleasant situation. We will start to ask God why we should to have all unpleasant things, we will begin to complain to God why have to suffer and why should to fail. Is this a part of God’s plan? What God actually wants? Once again there’s a process completing a jigsaw puzzle and in the process is our own decision to choose each piece of puzzle to put it on the frame based on our own understanding or follow the provided tips and trick. Once we made a mistake then the main design will not formed perfectly. As well as the process of our live, as a human we are totally free to make and choose a decision to assemble each part of our lives. The question is, when we have to make decision and choice, to whom should we must rely and trust? Whether we lean and trust on our own understanding, conviction, and ability or we totally surrender to God, completely trust in Him, and make God’s word as a great guide? Dear readers, the process that we live isn’t an instant process but long process where there are times we have to cry, there’re times we’ve to suffer, there are moments we’ve to fail, and in the process of assembling all pieces of our lives, we cannot fathom God’s work, we cannot understand what God’s purpose is, we cannot even understand why we should have hard season in a process because our way is not God’s way, our thought isn’t His thought. God’s position is much higher than us. He has made everything beautiful in its time. He has also set eternity in the human heart; yet no one can fathom what God has done from beginning to end. My beloved friends, we are currently assembling piece by piece puzzle of our lives and we cannot skip one of it. Each piece has its own place. Maybe this time we cannot see the final result the grand design of our lives. We cannot know the end of our journey; we cannot know the ending of our story. Our life isn’t like reading a story book where we can easily flipping to the last page so we could know the ending of the story or simply choosing the certain chapter that we like. We must live each chapter of our live in complete. This post was inspired by a wonderful post “How Will My Story End?” Wrote by my beloved blog friend Anna Bachinsky Please kindly visit her awesome blog and read her wonderful posts. Thank you for your inspiring post, dear Anna. To be followers of Christ then our lives completely secure, free of problems, enjoy life without any obstacles at all. Have a life with abundance blessings, and live in prosperity. I thought this is a misconception about following Christ and sadly, this concept is currently held by many people and becoming a benchmark when they decided to follow Christ. Personally, I know a businessman who suddenly decided accept Christ in order to save his business that is threatened with bankruptcy. Today, there are many wrong purposes in following Christ. They only think about blessings, help, and miracles from God. Actually, we all know that being a Christ follower doesn’t mean that we will be hundreds percent have a safe life, trouble-free, and without any obstacles. In fact, when we become a Christ’s follower, we will face so many trials and our faith will be tested. It is so easy we says, “God is so good” when our lives is free of problems and there is no obstacles and pressure at all. But the question is, have we remain easily say, “Good is so good” when we have so many life pressure and in a very hard situation? Can we remain being faithful and obedient even though our lives in unpleasant condition? These are questions which the answer will indicate how far we love and believe in Him. My brother and sister in Christ, this evening I would like to take all of us to learn from one of seven churches that received the message from God in the book of Revelation 2. Let’s take a look to the church in Smyrna. Smyrna was a seaport city about 40 miles north of Ephesus. It has been described as the most beautiful of the seven cities. Today it is called Izmir, Turkey. Scripture does not give us any information concerning the founding of this church, nor is it mentioned in the book of Acts. Presumably, this church was founded during Paul’s ministry in Ephesus. Smyrna is the Greek word for myrrh, a flagrant perfume used in burial. Many believe that this church represents the martyrs of all the ages and the sweet-smelling fragrance of their faithfulness until death. There was no rebuke for this church and because they were faithful until death. Why the church in Smyrna mentioned as the martyrs of all the ages and sweet-smelling fragrance of their Faithfulness? Actually, the life of the church in Smyrna was contrary to the conditions the city of Smyrna itself. 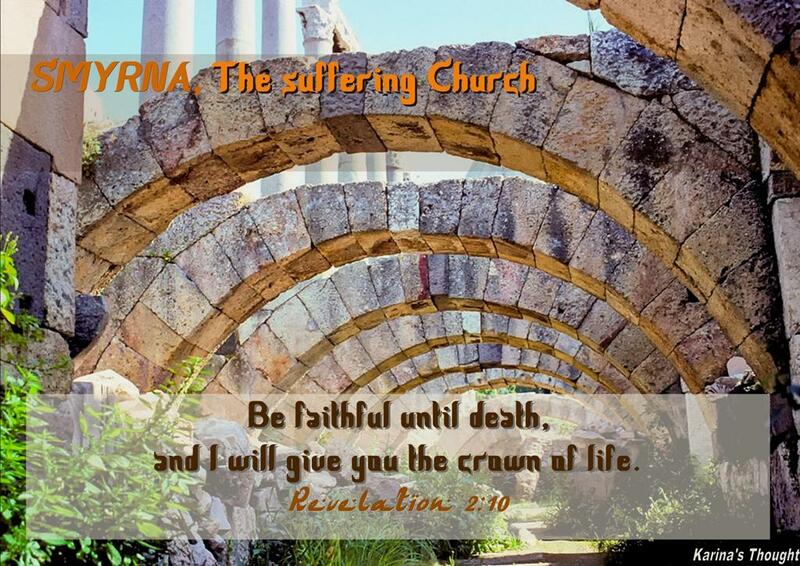 The church of Smyrna was the suffering church. How suffered they are? Let’s have a look together. The church of Smyrna suffered because of the pressure of the Roman government, at the time, made it mandatory that all citizens should worship the emperor or they will facing the death. They must burn incense and acknowledges that the emperor is God. Here lies the root of the problem. The church in Smyrna refused to do all that and they considered as unpatriotic traitors. Then the affliction begins. Many of them were boiled alive, many others were roasted alive, some crucified, or the Roman authorities took them to the coliseum and fed to the angry and hungry lions. The church in Smyrna lived in poverty. Based on some of the commentary on the book of Revelation I have read, they were not only poor but they absolute poor. They were absolutely didn’t have anything. They cannot live their lives normally. They hated, boycotted, people didn’t want to make a trading with them just because they were Christians. They cannot develop their work; there was no way to make a living, and worse it seems the all city dwellers trying to make them starve. The affliction does not stop there, there is another one. The church in Smyrna was slandered. The Jews was making false allegations and reported it to the government. They slandered that the Christians make a practice of cannibalism, immorality, considered atheists, people instigator, and a family crusher. Another affliction is the church in Smyrna had long suffering. Verse 9 talking about the suffering that has been experienced by the church in Smyrna, but the verse 10 speaks of the suffering that are still will experienced by them. There are many Bible commentators assume that “ten days” refers 10 period of time of suffering for the God’s church that will be experienced during the reign of ten anti-Christ Roman emperors. And it was true; history noted that there were around five millions Christian dies as a martyr during ten period of Roman emperor. What lessons that we can take from the church in Smyrna? After I study deeper this passage, I thought there are two important things we can learn. Being fearless and be faithful. God gives two instructions to handle their suffering. Do not be afraid and be faithful! God said these with His omnipotence and omnipresence (These are the words of him who is the First and the Last, who died and came to life again. Verse 8) and His omniscience (I know your afflictions and your poverty. Verse 9) and the church in Smyrna chose to be fearless and be faithful. They are not afraid to die to defend their faith in Christ. Polycarp, a pastor in Smyrna offered freedom by governor if he willing to deny The Christ. But He said: “for 86 years I have served Him and He has done me no wrong. How then can I blaspheme my king and my savior?” Before Polycarp was burned, he prays, “Oh Lord, almighty God, I thank you for counting me worthy of sharing the cup of Christ among the number of your martyrs”. The church at Smyrna knows He is the Word that is the first and the last. What this means is that He is God who fought in the entire history of this world and have full authority over what happens. They also realized and understand in their suffering God always be with them and even will strengthen them. Suffering because of their faithfulness is not due God forgetting to help them but rather God is present in their lives. My dear friends, what about us today? What season of life are we in today? Maybe we are in a season that everything is going great and we just love life. Things are running smoothly. We are so in love with the Lord. Every day there is just a wonderful surprise and we are just in a great season of life. But I going to tell one thing that God never promises us as a believer that life is going to always be fun. He never promises us that life is just going to be great. As a matter of fact, He promises us that if we are a believer, we will face suffering and you will have some persecution in our life. As a believer, we do have eternal life and He is saying we may suffer the first death, we may die physically, but spiritually we will never die again. In the morning, thousand years ago, stood two men who are physically and power was completely not comparable. The one had six cubits and a span height. He had a bronze helmet on his head and wore five thousand shekels bonze coat of scale armor. He also wore bronze greaves on his legs, and a bronze javelin with six hundred shekels weight on its iron point was slung on his back. While the other one, a young man without any body armor and just armed with a sling. It seems a pretty unbalanced fight will be happen. Logically, we all certainly know who the winner of the fight is. But we also know very well who finally the winner becomes. Yes! The young man was the winner. This is a very famous story about young man named David and a giant named Goliath. My beloved readers, Yes! Through this story we can through learn through David how to facing “the giant” which mean our big problems. Let’s examine how David can be so confident against Goliath and compare it with the Israel army that in fact highly trained and experienced. Isn’t it feels very strange a young man who everyday just herding cattle his father but boldly advised the king of Israel and his troops? David emboldened for he knew exactly who was behind him. David knew that if God is with him, he didn’t need to fear and lose heart to anything. Instead, David took an advantage from Goliath who had giant body. Goliath’s body will become an easy target. 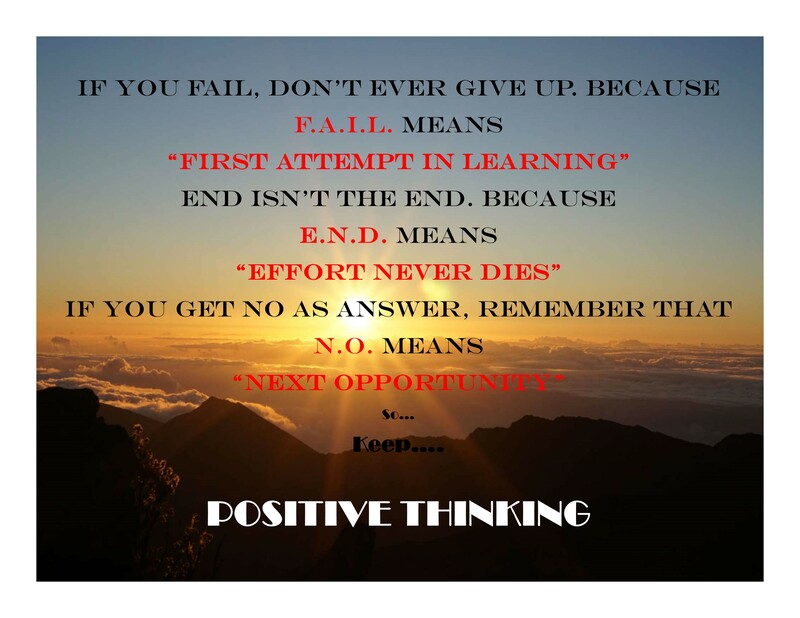 This is an attitude of an abundant faith that can give superb results. Why we could be losing heart? Just because our point of view merely focuses on the magnitude of the problems so we forget that God always be with us. Yes, David could be bravely and confident because He learns for his experience as a shepherd. Through his own experience he has been felt how God protect him if there was the beast wanted to attack his sheep. When facing the problems David immediately opened his life journey book, recalling his experiences when felt The God’s power and care. For David, Goliath is nothing more than a lion that has been conquered with the Lord. If God is able to make David be able to beat the beast, why should he afraid to face Goliath? In the book of Psalm 46:1 (AMP) says that: God is our Refuge and Strength [mighty and impenetrable to temptation], a very present and well-proved help in trouble. The word of well-proved was stating something that has happened. The Psalmist knows that his life filled with so many proofs how the God’s power can help us in distress, how God is able to be a refuge and strength as a solution or an answer of every of our problems. If thousand years ago God can help David against Goliath, as well as today, God also still can help us to defeat our big problems. God is never changes. As well as with Jesus, Jesus Christ is the same yesterday and today and forever. (Hebrews 13:8 NIV) Each of us certainly been faced a very severe problem, and we also must have experienced how marvelous God help us solve our problems. If today we again confronted by so many severe problems, don’t be afraid and discouraged because God will remain help us again. Please remember He will never change. In the previous post I had discussed and learned that nothing shall be impossible with God through the story of the Israelites against the Moab. Here, through the story of David and Goliath, once again we can see another proof that there’s nothing impossible with God. Because David wasn’t used wearing and using the arms, he said to Saul: “I cannot go in these, because I am not used to them. “ Then he chose a sling and stones. (Verse 38-40) David realized that he wasn’t familiar and untrained using the arms. He will go against Goliath who wore the complete war equipment only with a sling and a stone. Something extremely impossible, isn’t it? But David realized that it wasn’t about the arms but it was about the God hand will work through the simple arms that he uses. He truly believes that as long as God be with, there’s nothing impossible with God. David also believes that a sling and stones in God’s hand can be a potent weapon to defeat Goliath. And it was proved. This was another example attitude of an abundant faith from David. As I said in my previous post, when we facing very big problems we tend to think that our problems are impossible to be resolved. We tend to only focus on our problems with our limited logic and mind. We forget that there is God who in control all of our lives. Today, once again we can learn through this story that there’s nothing impossible with God. David triumphed over Goliath with a sling and a stone. Without a sword in his hand he struck down Goliath and killed him. This was a proof that nothing shall be impossible with God. I will end this post with a song that I always hear when I face so many big problems. This song truly could strengthen, bring me comfort, rest, and remind me that there’s no problem too big God cannot solve it. 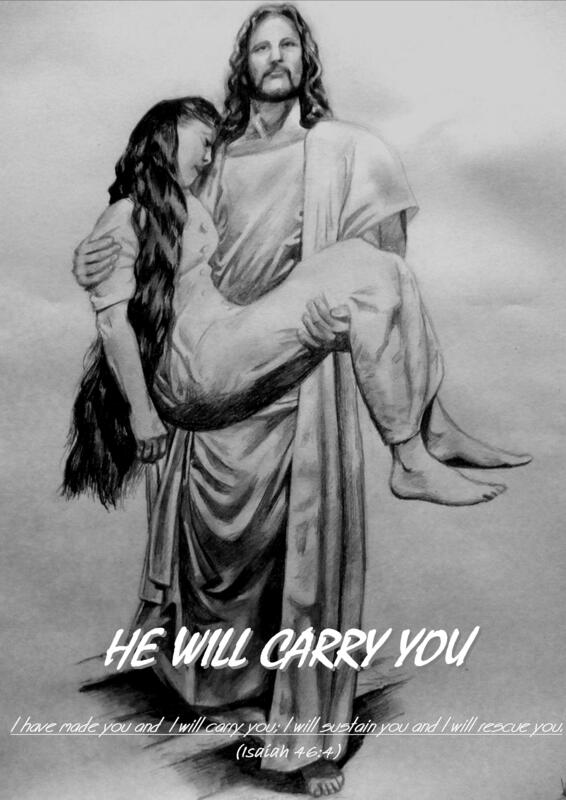 “He Will Carry You” Amen. I no longer call you servants, because a servant does not know his master’s business. When I ponder this verse, I felt that I have a very big privilege. “I no longer call you servant” This is the first big privilege. Jesus not places us under Him. Jesus didn’t make a boundary between servant and master. He places us align with Him and made us a His friend. What are other privileges that we can get through making a friendship with Jesus? Let’s have a look together. The Jesus’ love is always shed for us, whatever our condition, because He remains faithful. Jesus understands what became our struggle because He had suffered on this earth and bear all the sins of mankind sins. Jesus is always there for us, although as though He feels away, He is always there in our hearts. And He always listen our complaint and prayers. Anytime we want to confide, He always await us. When Job experience of suffering, all the family and friends left him, and even forget him. But there is one person who never left and forgotten Job, He is the Father in heaven. In our daily lives maybe we once experienced that our brethren left us in misery and at the time a companion even accompany us faithfully. So it is with Jesus. He will never leave and forget us. He always closes to us. Friendships very close with receptiveness. There is no secret story to a true friend. Likewise, Jesus will reveal all the secrets of heaven to us His people. We shall know God’s heart, His messages, advises, and His reprimand because Jesus himself who will tell us. His extraordinary grace will be poured out for us, when we build a friendship with Jesus. He will guide us and show His bright ways to our lives. He will provide the way out for every of our problems. Friendship contains a bond of trust. When we believe in Jesus, we become His friend and we become people who can be trusted by Him. Trust will lead to the provision of greater responsibility. We see that the Lord gives a remarkable promise to Abraham, and the promise was fulfilled. Fear Him. This first condition that He wants from us to become His friend. What is next? We will get privilege as Jesus’ friend we love each other as He loves us. Then, what other thing we have to do? You adulterous people, don’t you know that friendship with the world means enmity against God? Therefore, anyone who chooses to be a friend of the world becomes an enemy of God. I strongly believe that we all want and longing to make Jesus as a true friend and actually it is not difficult to be that way. It all is only depends on us. Whether we want to do all what is commanded by Him? Whether in our daily lives we have already fear Him? Have we loved each other as He loves us? Whether we are still friends of the world and love the worldliness things? There was an inspiring story about friendship. There were two boys named Zac and Vincent. They were friends. When Zac was 6, he had the acute lymphoblastic leukemia and should take chemotherapy. Vincent as Zac’s best friend realized that the medical treatment for Zac was costly. Then he took the initiative to raise funds to help Zac’s medical treatment. He sold 20 scarves and was able to donate $200 to Zac’s family. Vincent did not stop there, his sense of friendship also shown by coming to school with a shaved head. He said he did not want Zac feel weird having to bald alone, so he too shave his head. If we make comparison between Vincent in that story with Jesus, Both of them did something for their friend. But Jesus not shaves His hair for us. Jesus did something greater and important than shaving hair. He willing to suffer endured terrible pain because tortured for many hours. He let His body covered in blood beaten and caned, and in His powerlessness He still had bear the cross. His Head wounded punctured with crown of the thorn. And finally He nailed and dead on the cross. For whom Jesus did all of that? For all of us! For what Jesus did it all? For redeem all of our sins! He paid it all of our sins that hinder our way to salvation by sacrificing Himself. Is there a friend like Jesus? If we have friends who are willing to suffer and sacrificing his own life for the sake of our salvation like Jesus did for us? 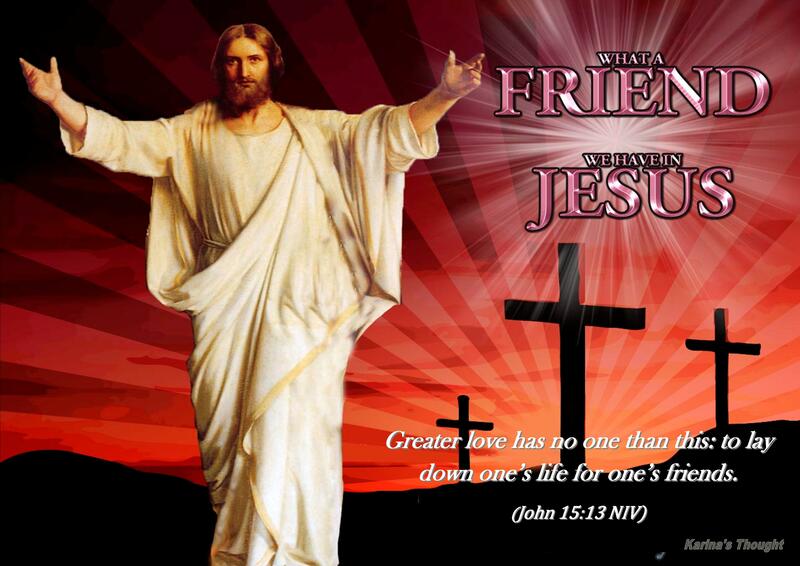 I am afraid in this today world we cannot find a friend like Jesus. My dear friends, I, my husband Kevin, and our little precious Andrew says, wishing your Easter is decorated with love, peace, and joy of spring and the season’s blessings! HAPPY EASTER. Today, my yearly Bible reading reached to the book of Matthew 8 and I am interested to share a bit what I have learned from the Centurion of Capernaum in verse 5 to 13. Even though this passage talks about faith of the centurion, I got another important lesson from this centurion. There are three important things we could learn from this passage. Let’s have a look together. When Jesus had entered Capernaum, a centurion came to Him, asking for help for his paralyzed servant at his home. (Matthew 8:6 NIV) The centurion came to Jesus not because he is sick but he felt so sorry with his servant’s suffering. As a leader, would be so easy for him to cast away his servant and find a new one. But let’s see, he was willing to spent his time and try hard to meet Jesus. 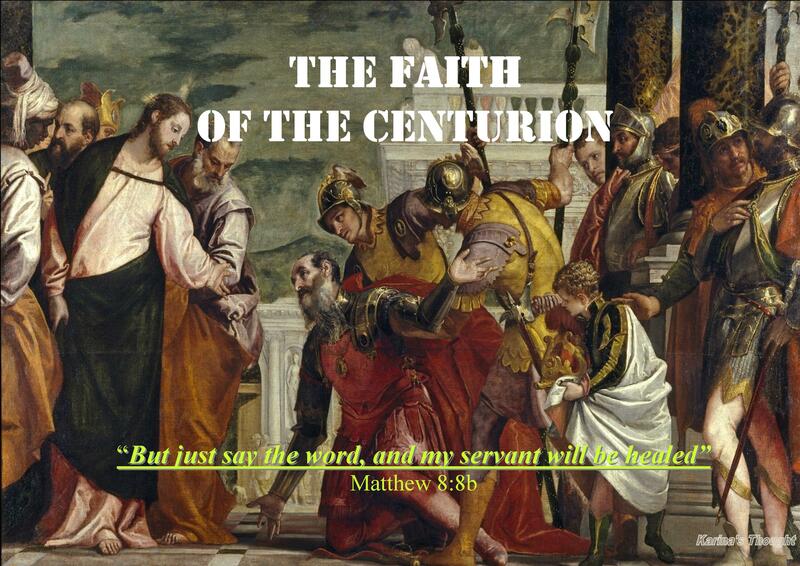 Here we could see that the centurion not just had a mercy but also accompanied with action by asking for help to Jesus. He did something concrete. A question arises in my mind. In this very difficult live today, how big our mercy to our friends or relatives who are in difficult situation and need our hand? Whether our mercy has been accompanied with action? It is easy to have mercy but we may not easy to help them concretely. We may tend to have sympathy but difficult to have empathy. I often heard the old and classic reason: “How we could help others if ourselves in the difficult and shortcomings situation?” I remembered with the church in Macedonian. In the midst of very severe trial, they still have overflowing joy in giving and they gave as much as they were able, and even beyond their ability. (2 Corinthians 8:2-4 NIV) Maybe this time we do not like the church in Macedonia who is in poverty but are we already have generosity to give a little we have for those who are in need? Are we already have mercy that accompanied by action? It is very good to show a mercy and sympathy, but in reality oftentimes it is not enough to lighten those who have burden concretely. Actually, God takes into account all mercy that we show to our neighbor no matter how small it is. Jesus said: “The King will reply, ‘Truly I tell you, whatever you did for one of the least of these brothers and sisters of mine, you did for me.” (Matthew 25:40 NIV) In our daily lives I often see the contrary situation to what was done by this centurion. The higher one’s position they lose their sense of mercy for others. This centurion has great mercy regardless of his position or status. And did not merely have sense of mercy but he revealed with the real action. This centurion of Capernaum can be a role model to us to always remember to have sense of mercy to others no matter their position lower than us or not because God alone has a great mercy to us and He will forget our sins. Now let’s take a look at the second important thing from the centurion of Capernaum. Humility! Yes this centurion had humility. Let us examine together. After Jesus knew the centurion ask for help to heal his servant, Jesus said that He wanted to come to the centurion’s house and heal his servant. Jesus said to him, “Shall I come and heal him?”The centurion replied, “Lord, I do not deserve to have you come under my roof. But just say the word, and my servant will be healed. This humble centurion truly realized that he is not the highest person in the world. He still has a leader and above of all he really realized that he was dealing with the King of kings. My beloved readers, now we come to the part that become a title of this passage. For me, this section is the most important thing that I got and learned from this centurion. It is talk about something that becomes a foundation in the Christian living. Now we talk about faith. The centurion had something great and awesome. He had a great faith. Let’s take a look again to the verse 8. This time I will not deliver my thought about faith too much. I have written some posts which talk about faith and there are so many other excellent posts in the blog which talk about the same thing. Right now I just want to all of us to take a moment asking ourselves: How big our faith now? Whether we already have a great faith like this centurion? Are we having a great faith that makes us believe a miraculous thing will surely happen without we need to see it first? How deep these following verses embedded in our heart? Whether our faith can make us believe something invisible, believe something unbelievable and make us believe can receives something impossible [i] as we believe there is God even we cannot see His real figure? Let’s together examine ourselves again how the quality of our faith today. My dear friends, at the end of this post I encourage all of us to learn from the centurion of Capernaum wholeheartedly. Let us unite in prayer, pray for one another so that in every step of our lives, we have great mercy and accompanied with real action for our neighbor regardless of whom they are and no matter whom we are. Let us also remain have the humility even though we have a high position and authority wherever we are. Although there is no one higher than us, still remember there is God who the highest of the high. And the most important thing let us always maintain our faith in God. Let us pray so our faith keep growing, getting stronger day by day, strengthen our faith with outpouring of God’s word every day and finally will enable us to believe in something without having to look at. Amen.